New open source projects launch all the time and there’s so many great ones out there it’s hard to find the diamonds in the rough. Here are 10 promising young FOSS projects to keep an eye on as their development grows. Download or use them in the meantime as they develop, they are awesome! GTD-Free – Fans of David Allen’s Getting Things Done method of productivity will love this handy little desktop app. It smoothly follows the GTD process to help keep users organized by project, due date, or priority, and features editable lists, tickler views, and more. Banshee – One of the most full-featured media players around, Banshee syncs podcasts, music, video and audio files with your iPod. It also snags album artwork from an online library, lets you create smart playlists, and filters your entire music library by album or artist. 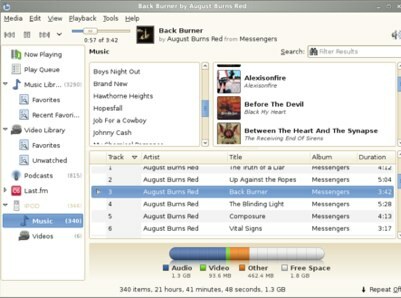 Banshee works on Linux and Mac OS X, and is a great replacement for iTunes. 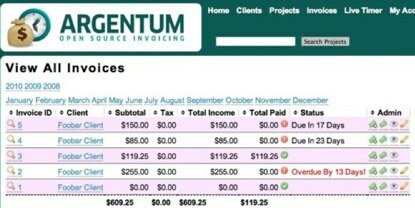 Argentum – Here’s a server-based invoicing app that’s perfect for small business and freelancers alike. Manage multiple clients, along with all their contact, billing, shipping, and contract information. It supports multiple currencies, includes a currency converter, and can accommodate a slew of plugins to customize it even further. Lemon POS – If you have a home-based or small office-based goods business, this point of sale software is worth a look. Designed for use on the Linux operating system, Lemon POS provides a dingle database that can still serve multiple POS terminals. 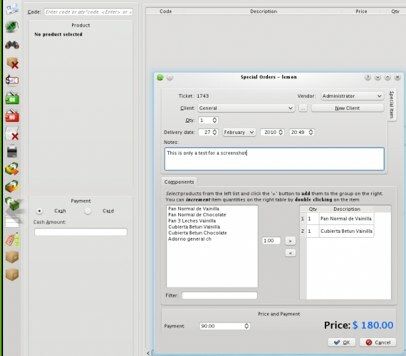 A slick interface lets users point tickets, invoices, and barcodes, tracks inventory, and more. 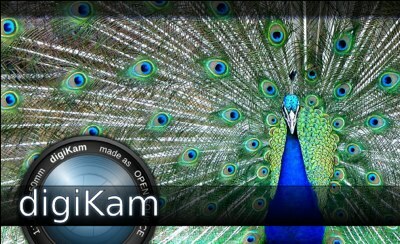 DigiKam – This app rivals any professional photo manager you’ll find, and it’s free! It works on Linux, Windows, and Mac OS X, and it’s developed by a team of photographers who know just want kinds of features and tools are important to photo management. Boxee – Here’s an open source media center application that’s gong places. Online video streaming isn’t gong away anytime soon and Boxee is a great way to harness movies and videos from the internet to watch on your TV. Currently, movie content is served from OpenFilm, Hulu, YouTube, MUBI, and Indie Movies Online but developers say more partners are on the way. OpenStreetMap – Google Maps is a great online map service, but it’s not without its faults. 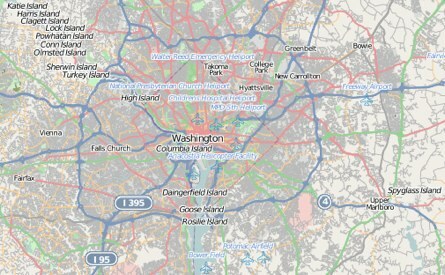 OpenStreetMap fills in the gaps where commercial map services fail. The entire map of the earth is fully editable and though it’s not as complete as, say, Google Maps, the fact that it’s collaborative means if you find an error, you can stop in and fix it. One of the handiest ways to use OpenStreetMaps is when you need to use or display geographical data that’s free from any legal or copyright restrictions. 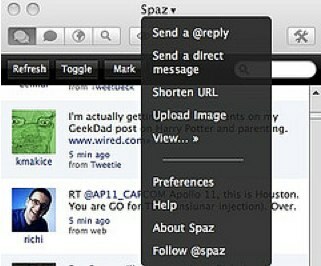 Spaz – If you’re in the market for a lightweight, open source microblogging client for the desktop, have a look at this neat little option. It’s a slick cross-platform app that uses Adobe Air to update your status on Twitter, Identi.ca, and Laconi.ca. Spaz has all the standard features you’d expect from a microblogging app, plus a strong development team behind it constantly working on improvements. Performous – When it’s time to kick back and relax, get your groove on with this cool karaoke game that puts Rock Band on your computer. More than just an app for singing your favorite songs, it actually helps users correct their pitch, improve music reading skills, and generally become a better singer. 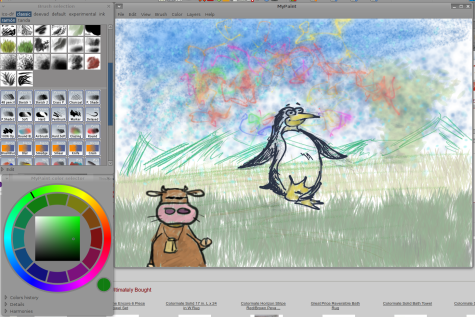 MyPaint is a lightweight, easy-to-use open source painting application that you might not have heard of before. Unlike some of the more mature open source raster-graphics applications (such as Krita or Gimp), MyPaint doesn’t try to do everything: it’s not a photo editor, it doesn’t bother with paths, geometric shapes, text manipulation, or fancy masking options. Instead, it focuses on one and only one use: painting. Please leave a comment and let us know which young Open Source Projects you think should be watched!!! 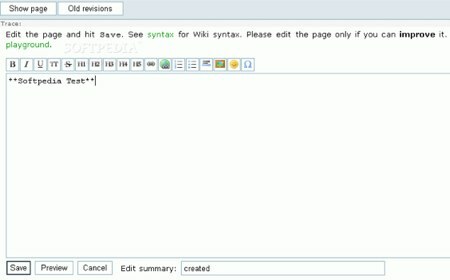 This entry was posted in Open Source, Productivity on October 14, 2010 by wlmanager. I love your authors– Lisa Hoover, Dmitri Popov, and the rest who write such great articles. I hate that horrid little social networks bookmarking popup. What are you trying to do, chase readers away?? Please please please don’t boobytrap your pages– I shouldn’t have to swat obstructions out of the way like flies. Thanks for the input on the social networking tools. Some people love them, others want them to go away, it’s hard to find a middle ground that’s right for everyone, but we’ll keep trying. These are really Cute,, well done! Not sure how you can call several of these choices young projects though? 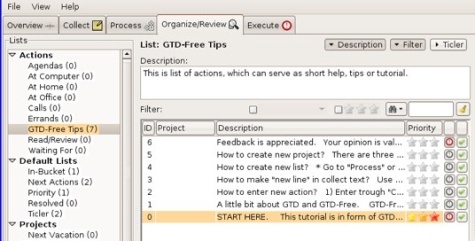 Personally, I’m looking forward to trying out GTD-Free. I’m a big Getting Things Done fan and I’m all for a tool that implements the method well. I remember trying Spaz and not really being a fan. Ditto Banshee.